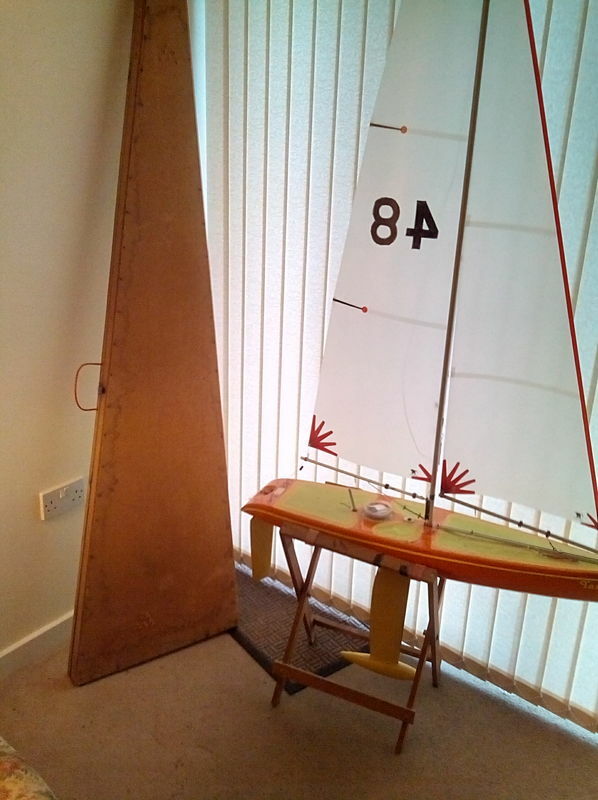 Mk 6 DF 65 with new (sailed only once) A+ rig, and other rigs part used. Peter would like £120 Ono, photo on request. Fonix RG 65 with full size Bantock swing rig. 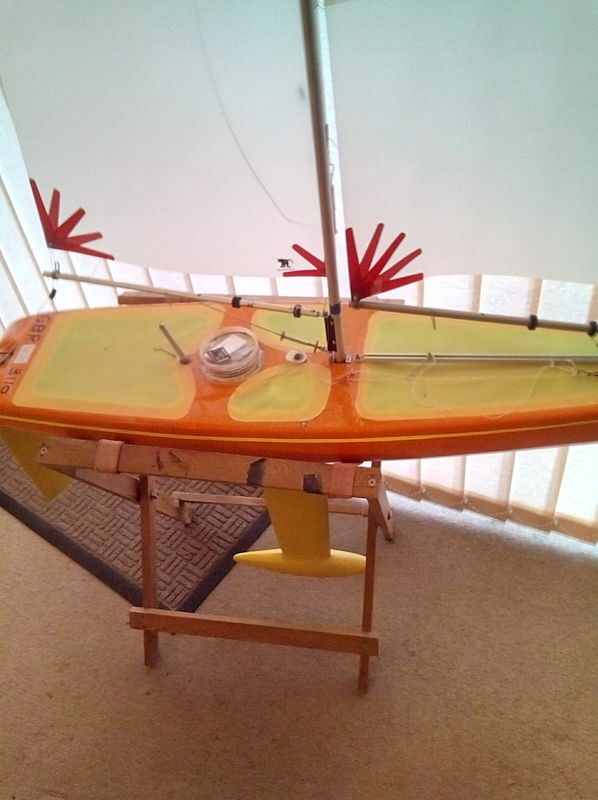 This is my second Fonix, and has only been sailed sailed for 2 Wednesday mornings, includes rudder servo and sail winch. £250 Ono. Certificated 2006. All sails and rigs by sailes etc..
C M Yachts 2 position boat stand and sail bag. Spectrum DX6i Tx, Rx faulty Tx. (2yrs old) 1, 6v battery pack. New servo winch. Set of rig bags. 3 Rigs, B and C sails by Tony. A sails by Cat sails. Futaba Tx and Rx 2.4Ghz. New sail winch. 4 x 4.8v battery packs.